Quartz - esoteric evil detector! Crystals of quartz I call very good and gentle spirits. Quartz itself is amazing stone and is called to be one of the universal minerals. But only lately I've discovered that these crystals can tell us whether spiritual people are serving good or evil, whether they are helping humans and planet or not. It's actualy simple and many, aspecialy famous, spiritual people, who are doing magic or transmition or any other energy work for others, tend to have quartz nearby. Probably for effect, because if they knew that it can show their true nature, they would use plastic. Haha! 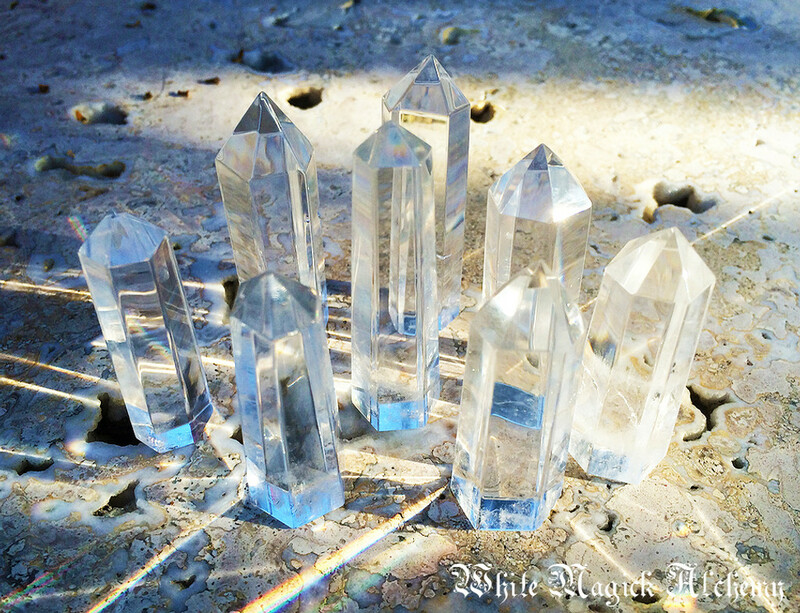 It is known and it shows the truth, that when negative energy is caused, the quartz crystal try to defend against it and it causes them to loose transparency, they can become milky white, even irreversibly. I had a chance to see such thing on video with a transmitter lady, who placed in front of camera a lot of crystals, It looked to me as crytal city and it was beautiful. When she began to cahannel, the crystals awakened and their energy touched the sky, it was fascinating and drawed my attention even much more than the lady itself. Could it be that she can do real powefull good? No, That fascination got disolved fast when she really began and crystals suddenly seemed like dead, in moments they tried to defend temselves and especialy one of them seemed that it is turning from clear to cloudy. Only in nonmaterial level, but Ive never saw that happening and it was awfull. Apparently the person, no matter her claims, was not doing good at all and I'm glad that she was able to cloud only one crystal. The crystals have no problems with lies as we do, I think that they simply feel the energy and don't bother with dogma. they are great to reveal the lies.